“Out and About : The Power to Be Yourself” is a powerful and inspiring personal testimony by Ezequiel Massa, member of the RAHM Community. He explains the importance of diversity and inclusion in firms. Bring everything you are. 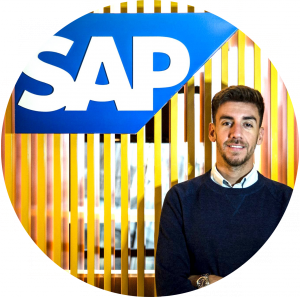 Become everything you want.” I couldn’t help but smile and feel proud to work for SAP when I got an email from HR with that subject. How amazing it is to know that the company you work for stands by your side. My future didn’t look so bright when I was a kid. 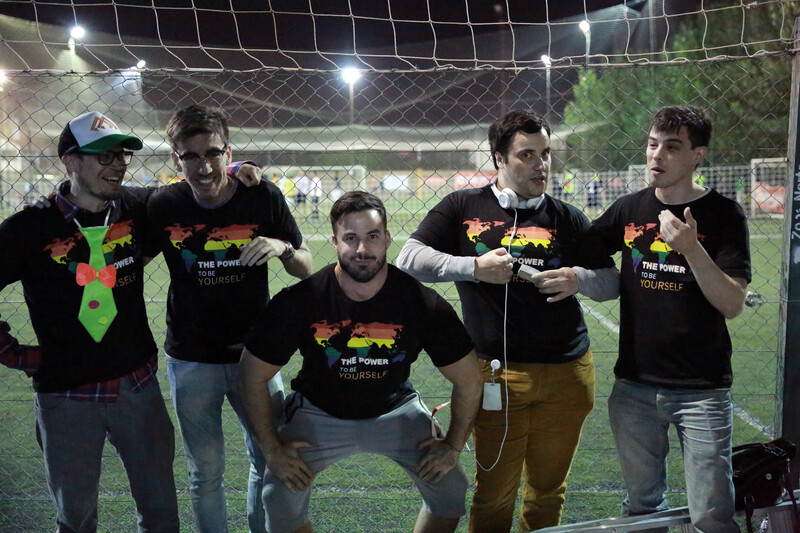 Growing up LGBT in a small town in Argentina wasn’t an easy feat. I was so scared of my own feelings the mere thought of being gay had me in panic. I remember feeling disgusted with myself, afraid I’d die alone, with no family or friends who’d ever love me. That’s one heavy cross to bear for someone so young. I was only 10 years old when my darkest secret – and probably my only secret – had me so concerned about what would become of me. My teenage years were no fun either. Taking a step back in time to uncover memories long left behind can be a bit painful, especially when bullying has taken a toll on you. Why should anyone fall prey to others’ insecurities? I was called names so many times I lost count. What would have happened if my bullies had driven me to the edge? Would I be here writing this story? Or would I be elsewhere hiding my true identity? You’ve always been such a good boy. Why are you doing this to us? Why are you punishing us? I know they wished my shrink would “cure” me of my sinful nature, but she was a doll. I remember feeling so relieved the first time I walked into her office: “I want you to be calm and talk to me openly about your feelings. I’m not here to change who you are,” she assured me. Luckily, it was only a matter of time until I could move away from all the pain and start a new life in Buenos Aires. University helped me get through it and embrace my true self. As the years went by, my relationship with my parents began to look up. Mum and Dad are fully supportive now and love me for me. Even if countless tears were shed in the past, they’ve long put behind their prejudice and fear that their only child would be unhappy. The three of us have learned a lot along the process, together. 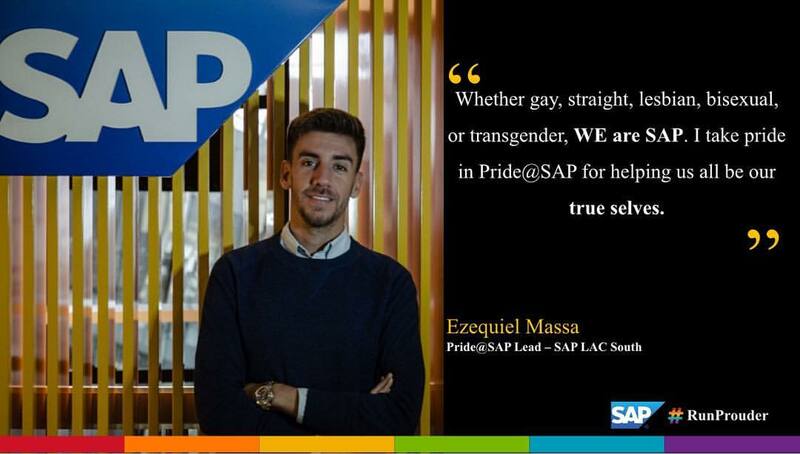 After so much drama, I would have never imagined I’d be now leading Pride@SAP, SAP’s employee network group that aims to promote inclusion of the LGBT community. What’s even more impressive is how engaged my parents are with my work for equality. It fills me with pride to see how much they care about LGBT rights and diversity nowadays. That’s the power of information. 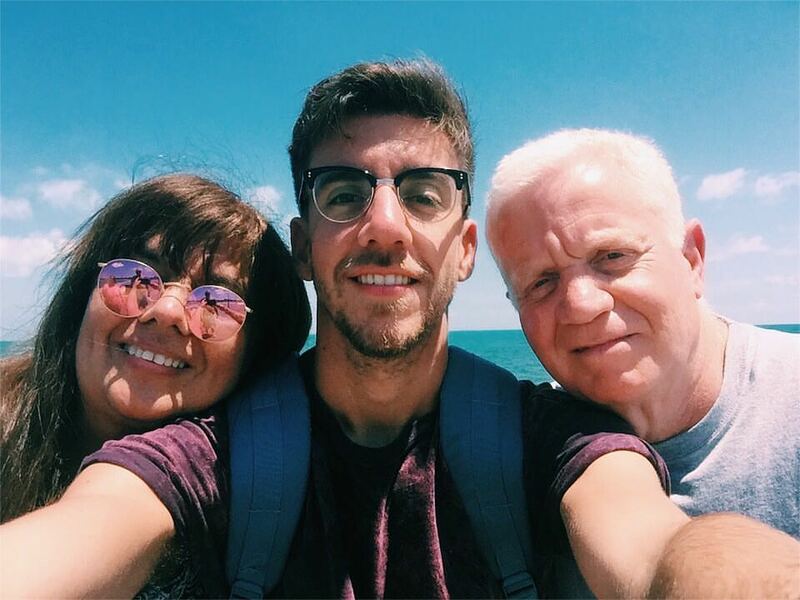 Having a gay son enabled them to discover different realities and fight for a world where each and every individual is valued for who he or she is. That’s proof education is key to putting an end to bias and discrimination. 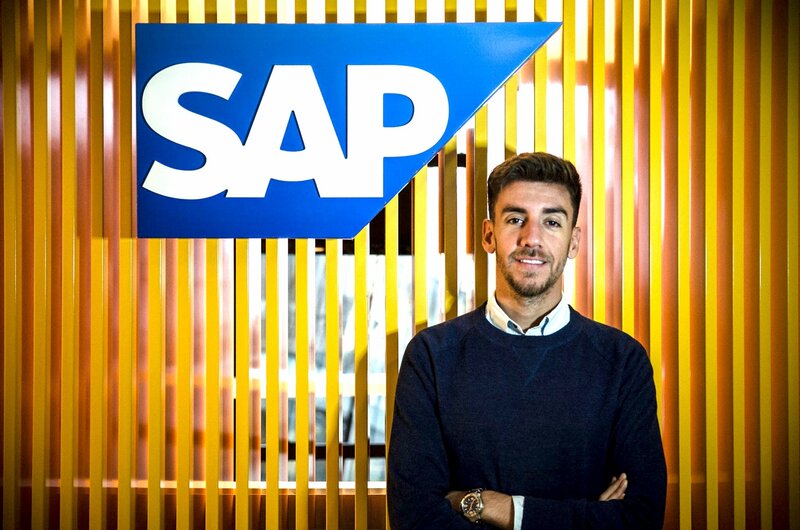 I’ve been working for SAP Argentina for the last six years. 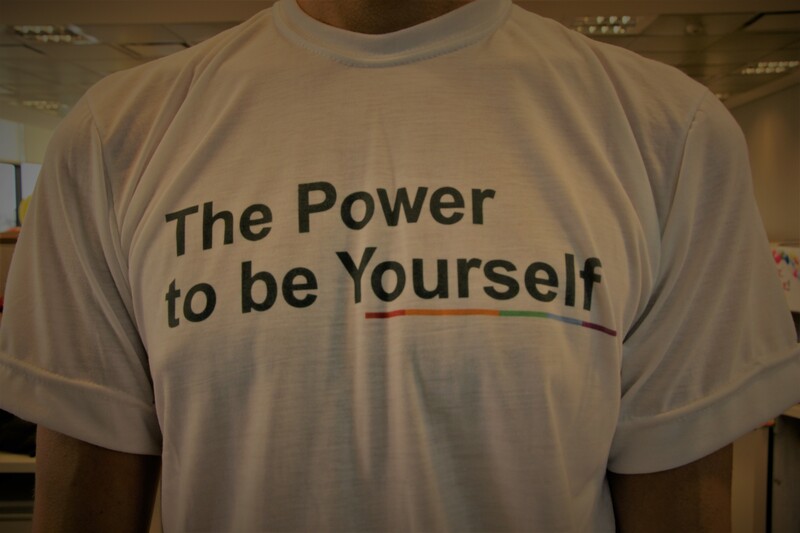 In 2015, when I launched our local Pride@SAP chapter, LGBT inclusion became my new professional goal, one I’d long struggled for outside of work. 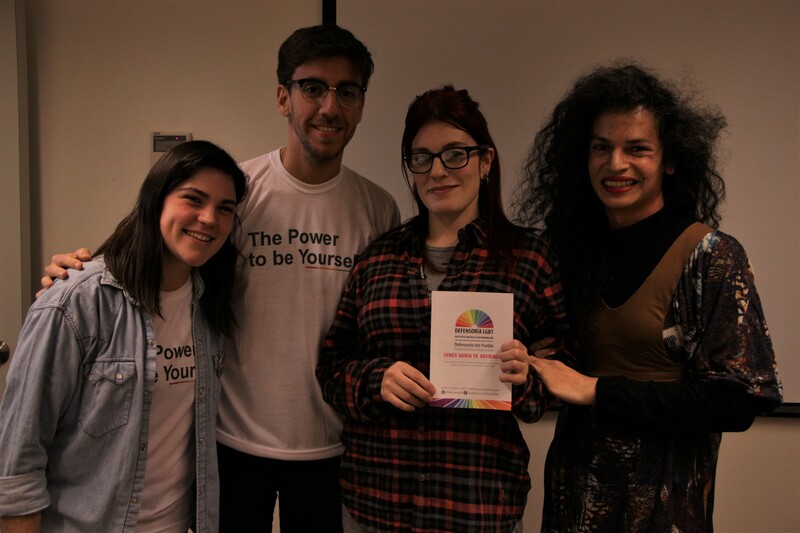 Through awareness workshops and after-work activities, the amazing team that make up Pride@SAP help our colleagues understand the importance of diversity and inclusion. It’s clear for us we are all to be treated equally, regardless of sexual orientation or gender identity/expression, but it doesn’t hurt to remind everyone else of it. Knowledge can save lives. By hosting and attending external meetings and forums, we share best practices with other companies, the public sector, and social organizations; we act as multipliers. Our efforts and initiatives are not just constrained to SAP, but out in the open. The actions we take go far beyond. I’m looking for real, conclusive change, one that transforms society. And nothing will stop me. Diversity drives innovation. Innovation drives success. By creating a safe work environment where everyone is welcome, we’re not just delivering better results, but empowering people to feel good about themselves and be authentic. What else could we ask for? Currently, at the age of 29, my only fear is turning 30. It never ceases to amaze me how much I’ve learned and grown since I was a small-town boy, ever too fearful and lonely, scared of the world, but mostly of myself. So much has changed since then. I’m proud of my parents for understanding that life’s not black or white, but all the colors in between. I’m proud of SAP for taking concrete action to create an inclusive workplace. I’m proud of myself for being able to bring everything I am to become everything I want, and shout out loud, fearless: I’M GAY, AND I’M NOT GOING ANYWHERE.